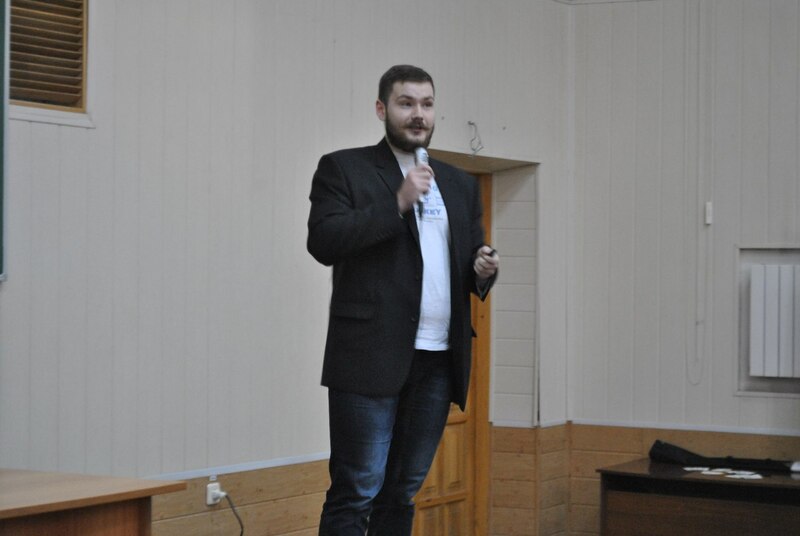 Last Saturday Denis Shokotko, the Chief Innovation and R&D Officer at Protectimus, became one of the speakers at the second conference on WEB-security OWASP KNURE Students Chapter. Denis told about the main mechanisms of protection of web-applications and modern trends in two-factor authentication. His presentation touched on the smart identification and data signature functions. The listeners learned about the new generation of hardware tokens – reprogrammable tokens supporting the NFC technology. The participants also learned how to protect themselves from the widespread mobile viruses, intercepting the one-time passwords from the SMS, applications, and even from the voice calls. OWASP (Open Web Application Security Project) is a non-profit international organization, the main goal of which is to analyze and increase the reliability of the software. OWASP organization is dedicated to the development of innovative tools and technologies for data protection. Besides it regularly publishes different tutorials, articles, and documentation in this area. Among the OWASP members are commercial companies, educational institutions, and individuals from all over the world. Recently the Kharkiv National University of Radio Electronics (KNURE), on the basis of which the conference took place, also joined the OWASP initiative.